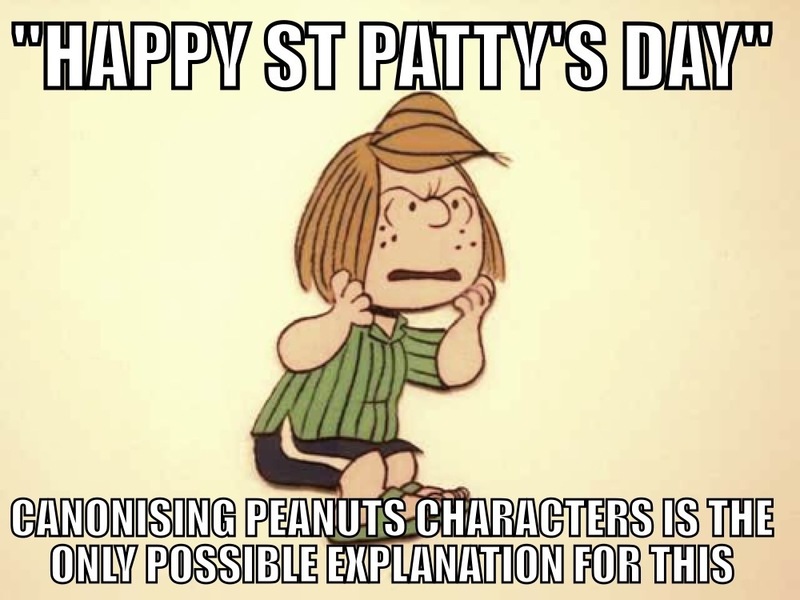 I don’t really understand why Peppermint Patty is being given her own Saint’s Day in 2013. It has never happened before. We’ve always celebrated St Paddy or, as it has fallen on a Sunday, St Patrick. For some reason, this year we are celebrating Patty. Here’s to Peppermint Patty! Cheers!